Blog - How do I plant dahlias? Dahlia's like to have a sunny spot in the garden. Plant them in the spring after the last frost period (Ice Saints) in the garden or in a large pot. 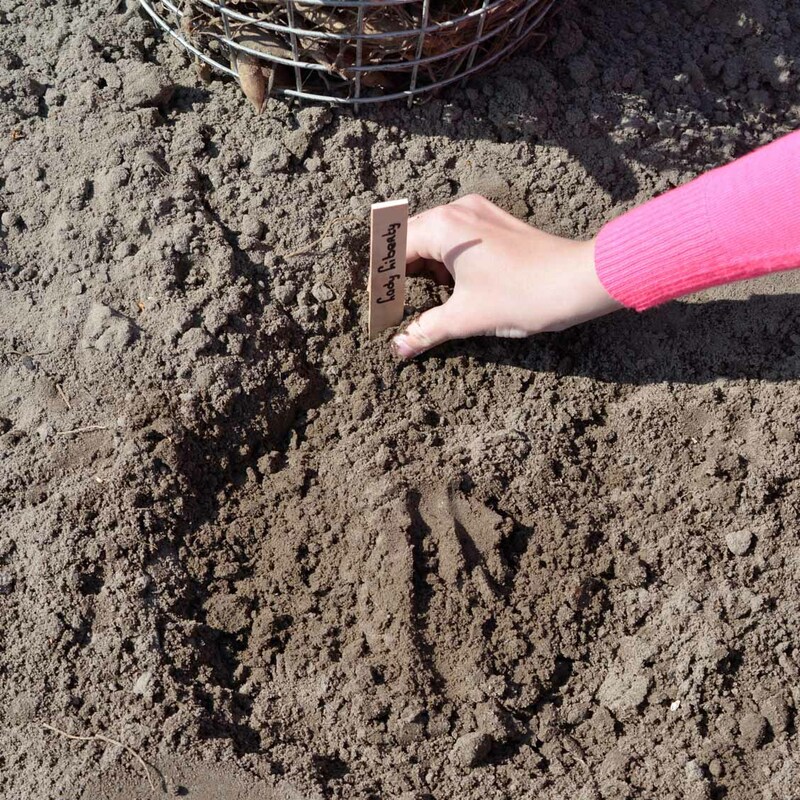 Sprinkle some organic manure and plant the dahlia tuber with the piece of old stem upwards. Make sure they are planted approximately 2-4 cm (1-2 inch) below the surface so that the tuber can easily feel the warmth of the sun. Cover the tuber with the excavated soil and pour a large amount of water on top of the planted tuber, so that the roots grow rapidly. 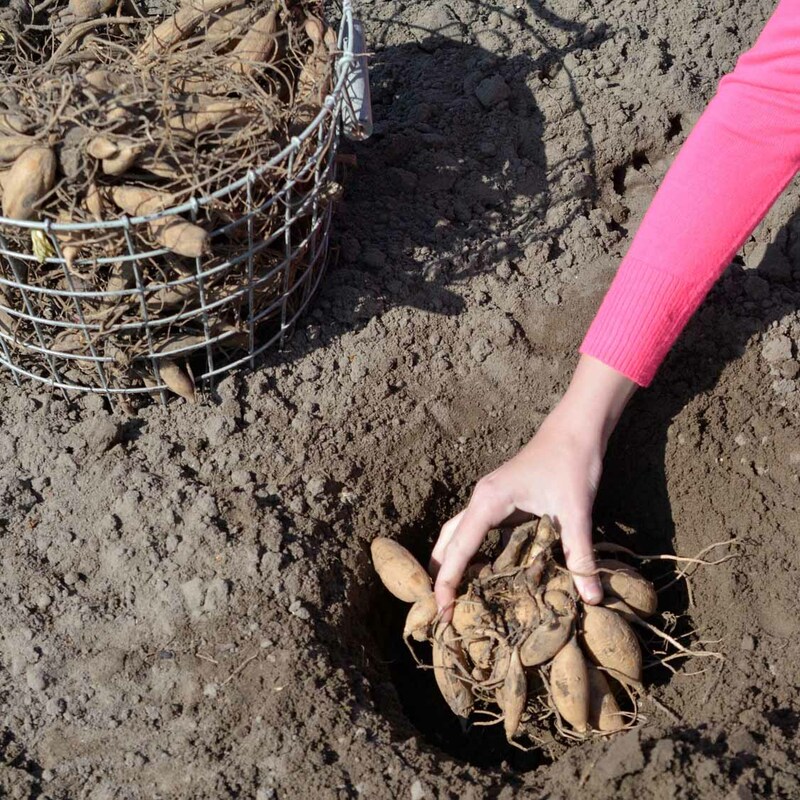 Keep a distance of about 40-50 cm between every tuber. If you plant them too close to each other, they will search for light and become larger. If you plant them in a pot, just put 1 tuber per pot and make sure it is well drained. No matter what pot size just put1 tuber in. The tuber will need room to make roots so the pot should not be smaller than 20 centimers (8"). Within a few weeks, the first green shoots will sprout above the ground and after a while the beautiful flowers will emerge and bloom until the frost. If it is very dry in the summer, they can use extra water. Make sure they are not overwatered as the tuber will start to rot. If you cut out the flowers regularly, more flowers will come back. Yes this is really true so don't be reserved just give a bunch to your friend or neighbour, new buds will start to bloom again. 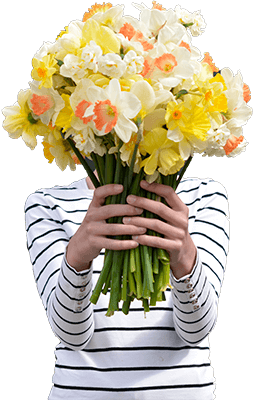 So double fun as you can enjoy your flowers both inside your home and outside in the garden. Furthermore, a dahlia does not need any care. Only watchout for the snails. Enjoy!